Netanyahu visits Budapest synagogue with Hungarian counterpart, calls to stand against anti-Semitism and anti-Israelism. Prime Minister Binyamin Netanyahu, Hungarian Prime Minister Viktor Orban and their wives on Wednesday visited the Dohany Street Synagogue in Budapest and met with Hungarian Jewish community leaders. "Yesterday you spoke out against anti-Semitism in Hungary. You spoke about it in its current forms, and you spoke about it also in its previous forms – the sins, as you say, performed by previous governments. You were very open it, including in our conversation. I think this is important. I think this is something that the world has heard. And it’s very clear to me that this something that the world should hear continuously,” added Netanyahu. “This is a tree with ancient roots and branches for the future. It’s a special combination. I don’t believe that we would achieve our rebirth if we didn’t have both – the memory of ancient times and the hope for better times. 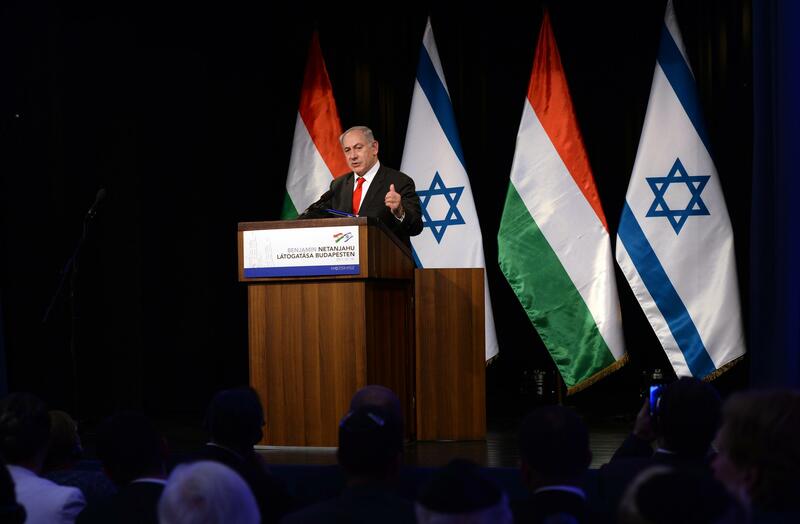 And it’s this special combination that now unites us with so many other countries, including here in Visegrad, with Hungary and with others who wish to have a better future,” Netanyahu continued. “We are proud of our past; we are eager to seize the future together. We shall do so in great friendship, friendship between the State of Hungary and the State of Israel, friendship between the Hungarian people and the Jewish people. And I see this visit here, this meeting here, next to this synagogue, as a testament to this friendship," he concluded.